Barbie's unrealistic proportions are a standard talking point around body image.For the first time, Barbie's lead designer fires back. Image via Mark Wilson . Barbie’s body was never designed to be realistic. So to get the clean lines of fashion at Barbie’s scale, you have to use totally unrealistic proportions? You do! Because if you’re going to take a fabric that’s made for us, and turn a seam for a cuff or on the body, her body has to be able to accommodate how the clothes will fit her. But we’re constantly working on new sculpts, new bodies, it’s a continual evolution for us. It’s not a closed conversation? No. Though there’s also the issue of heritage. This is a 55-year-old brand where moms are handing clothes down to their daughters, and so keeping the integrity of that is really important. We have an obligation to consistency. Everything may not always be able to fit every doll, but it’s important to me that the majority of it does, because that was my experience as a little girl.There’s an obligation to consistency. Unless for some reason in the future, there’s a real reason to change the body--because of either a design imperative or functional imperative--heritage is important to us. 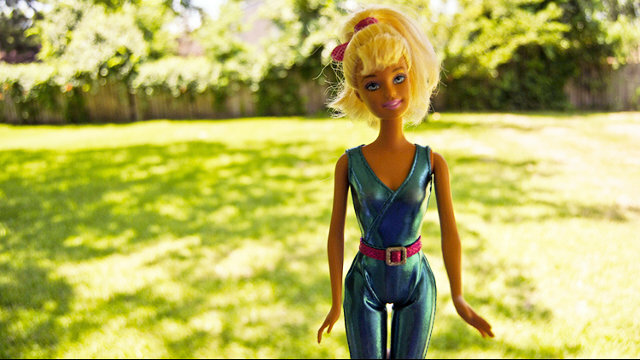 Would you ever release a Barbie that was a more realistic proportion? Or could that not be a Barbie because the fashion wouldn't be the same on her? It would depend on the objective. 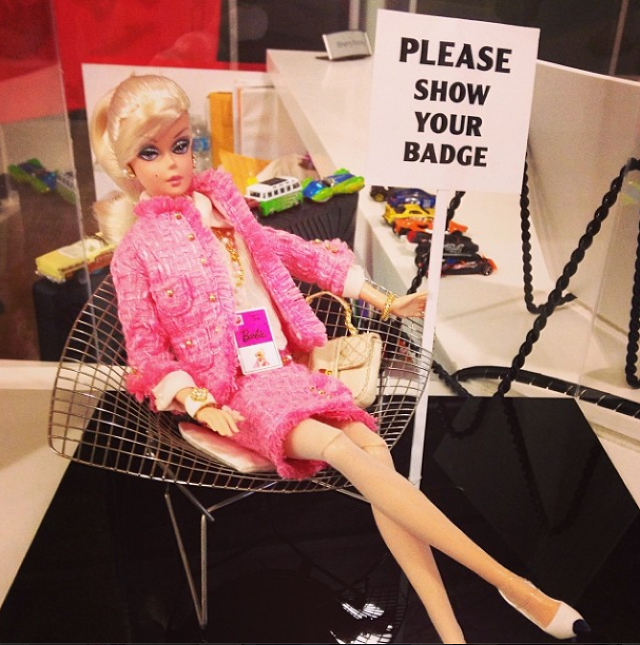 So to me, there isn’t an objective to change the proportion of Barbie currently. And to little girls, they are putting themselves in that doll anyway. You have to remember that girls’ perceptions are so different than grown ups’ perceptions about what real is and what real isn’t, and what the influences are. You don’t think there’s a body comparison going on when you’re a girl? There isn’t an objective to change the proportion of Barbie currently. I don’t. Girls view the world completely differently than grown-ups do. They don’t come at it with the same angles and baggage and all that stuff that we do.Clearly, the influences for girls on those types of issues, whether it’s body image or anything else, it’s proven*, it’s peers, moms, parents, it’s their social circles. When they’re playing, they’re playing. It’s a princess-fairy-fashionista-doctor-astronaut, and that’s all one girl. She’s taking her Corvette to the moon, and her spaceship to the grocery store. That is literally how girls play.